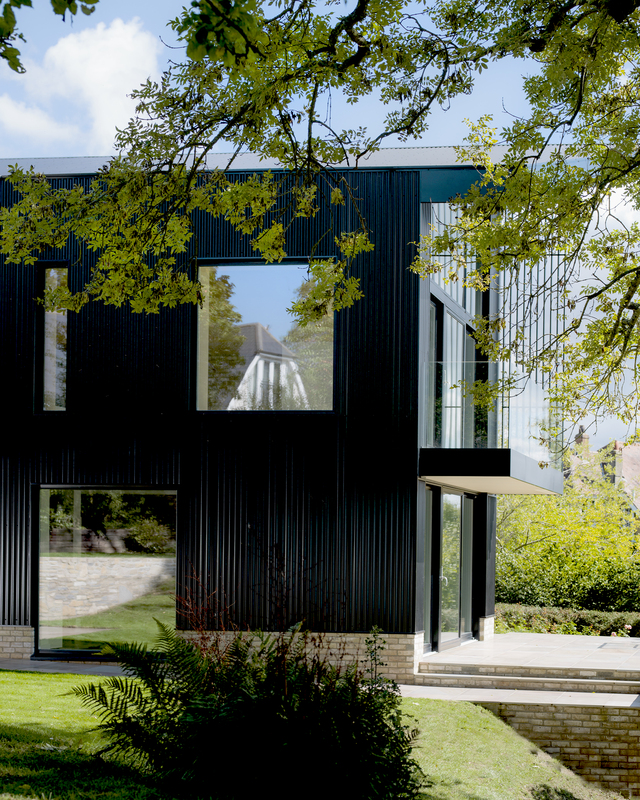 With the completion of our latest residential project; Dorset House, an energy plus family home built to Passivhaus standards we are once again reminded of how architecture makes it possible to reimagine a more sustainable future. Our director Anna Woodeson, having spearheaded green initiatives within practice, wrote a recent article for Audi Magazine about this very topic. Imagine a future where high-rise buildings are built without steel and concrete. It might seem like an ill-conceived idea but wood is reaching new heights as a popular building material while giving climate change a kick in the crotch. So here’s the high-rise ‘storey’ of wood. Wood as a building material is as old as the hills – and the forests that have covered them since time immemorial. But in the last decade there’s been a new kid on the (chopping) block – Cross Laminated Timber, or CLT. It is essentially a wood sandwich and comes in large slabs and consists of several layers of wood stacked and glued together. CLT has some big advantages over steel and concrete – it is easy to deliver to a site in a dense urban area and is quick, clean and easy to work with. Concrete, even with steel to reinforce it, doesn’t always stand the test of time as anyone hit by the closures to the Hammersmith Flyover in London well knows. Wood also looks the part for those who prefer natural good looks to rough-hewn brutalism. When discussing this with timber expert, Ashley Perry of real estate consultancy JLL, he noted that the interiors created through the use of CLT suit the less corporate client; the Facebook and Googles of the world, whose interest in their employees’ health and wellbeing is expressed in their office environment. But here’s the real deal sealer: steel and concrete production currently accounts for nearly 10% of global CO2 emissions, being energy intensive, polluting and wasteful compared to CLT. CLT is enabling architects to really branch out. In 2008 Waugh Thistleton built a nine-storey tower of CLT in Hackney, London, making it the world’s tallest timber residential building. The wood used stores over 181 tonnes of carbon and, by not using a reinforced concrete frame, a further 125 tonnes of carbon were saved. Across the Atlantic in Minneapolis, the T3 building is nearing completion. It’s a seven-storey retail and office space covering 20,000 square metres. The construction is due to be completed in just 2.5 months and, to add to its environmental credentials, the majority of the wood comes from trees killed by the mountain pine beetle. PLP Architecture and researchers from the University of Cambridge are pushing the CLT boundaries even further with plans for an 80-storey tower at the Barbican in London. If realised, it would become London’s tallest building after The Shard. However, it might seem unsettling for some to live or work in a wooden building. Certainly there are barriers to be overcome. 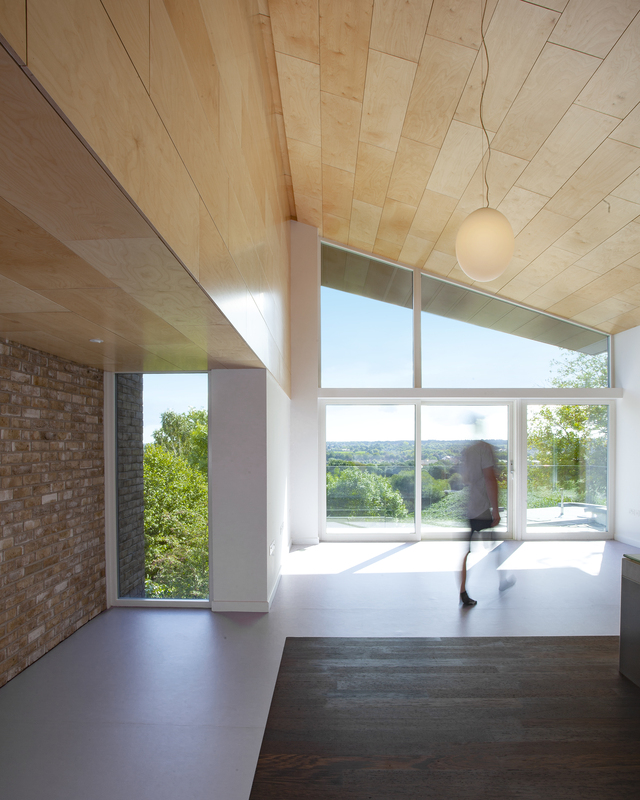 These include legal restrictions, the greater ease with which CLT transfers noise and the lack of UK CLT production capacity. But fire is not on this list. The proponents of tall wooden buildings point out that wooden structures can be safer than steel with charred wooden surfaces protecting the structural wood beneath. Surely there is a wider political context? In London there are over 250 towers of more than 20 storeys in the planning pipeline and London’s new mayor, Sadiq Khan has promised 50,000 homes a year during his tenure. As engineer Kell Jones points out: ‘What better way than to use the construction output of the next few decades as a feasible carbon capture scheme?’ Wood is going places – we’d be foolish to stand in its way. The Rise of Wooden Buildings by Anna Woodeson, published in Audi Magazine.